The entire tamariki group of our kura, Rapaura, participated in the annual Taiopenga Festival on Tuesday 23 October. 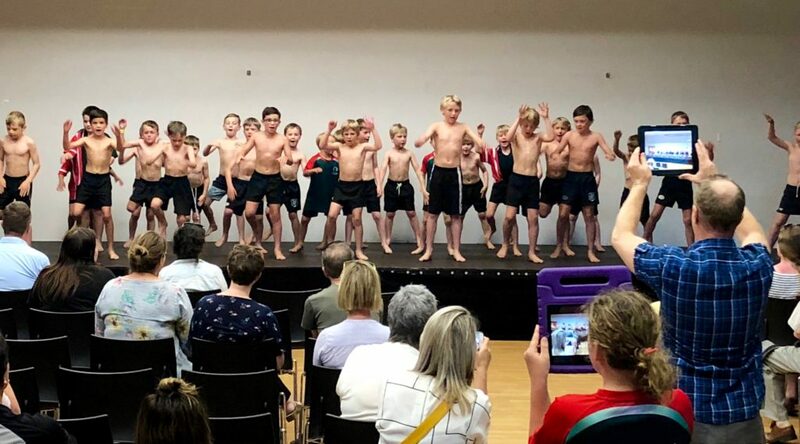 We had a junior and senior group perform. 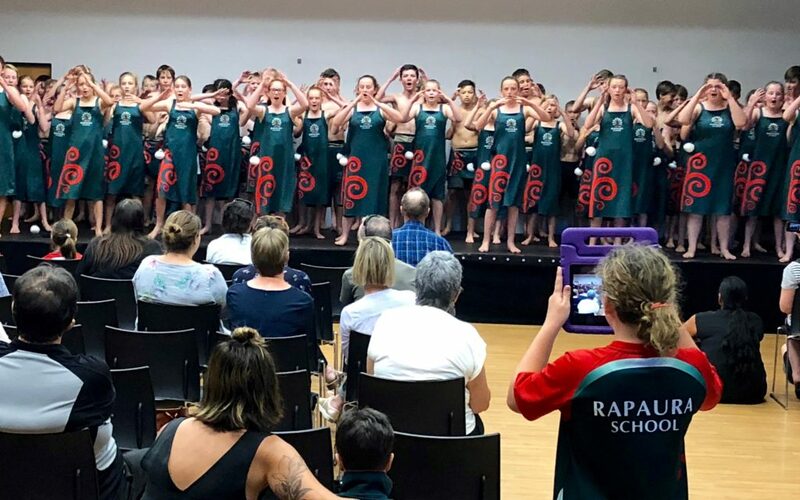 The students displayed mana and pride as they confidently displayed there learning of waiata, poi and haka. Throughout the year the tamariki are guided by Kuia Merehira and supported by the staff. 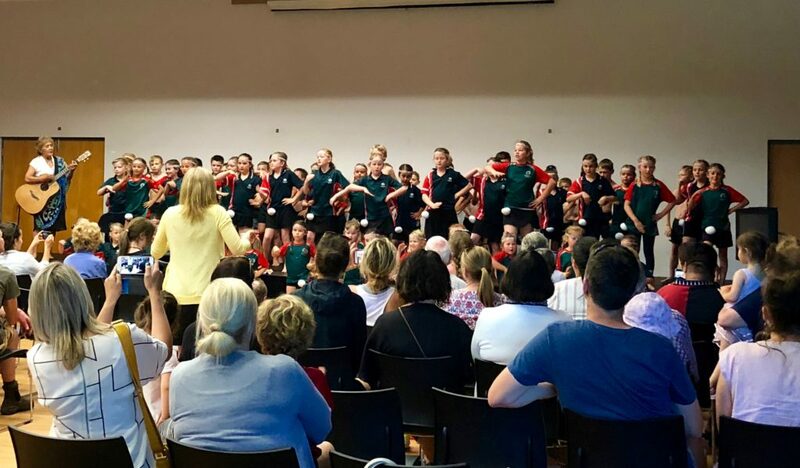 We reflect on the event and recognise the ownership of each child as they make our school proud. 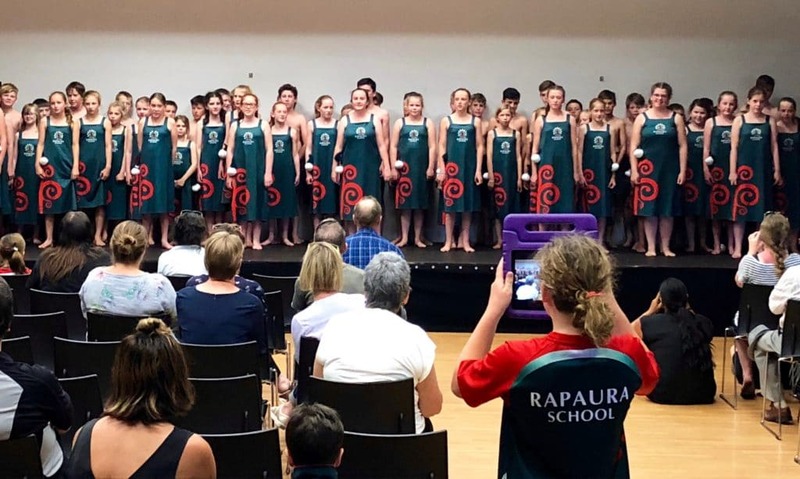 For the first time the Rapaura School staff collaborated and performed to the wider audience. After overcoming the nerves, we too displayed a fine effort, a true team effort. 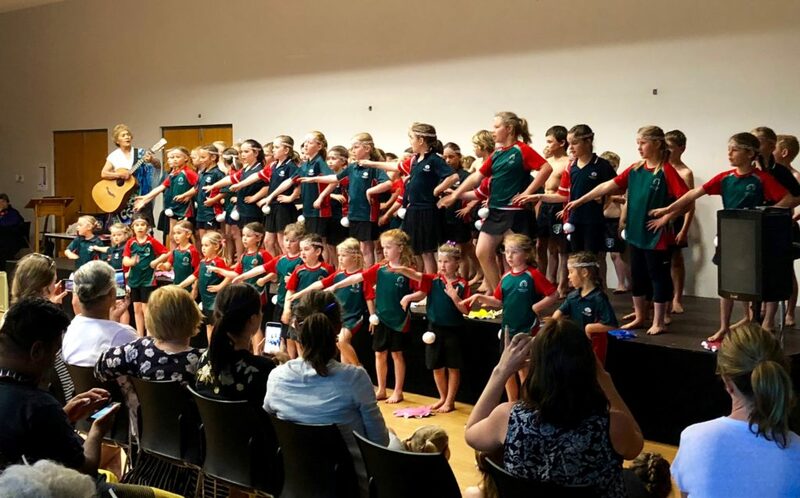 School waiata. Students performing the actions for our maunga (mountain) Mount Tapuae-o-Uenuku. Junior school group showing the actions for our awa, Wairau River. Junior group, supported by Kuia Merehira. 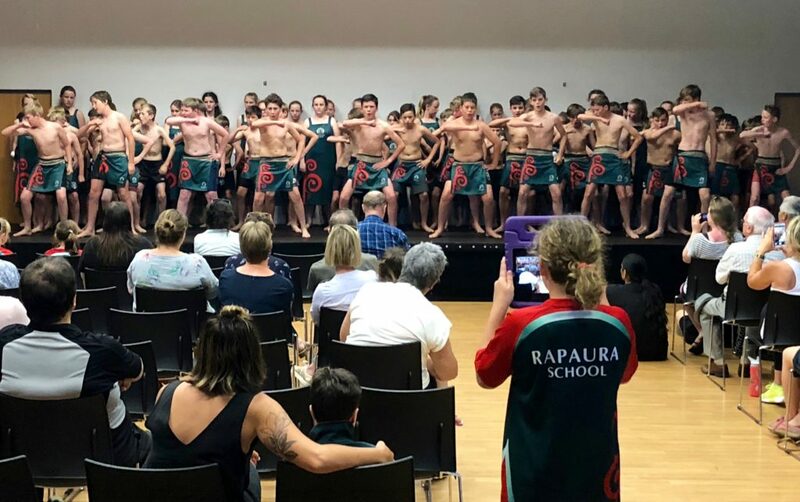 Junior boys performing the haka.